Is it time to shop for a Swiss replica watch? 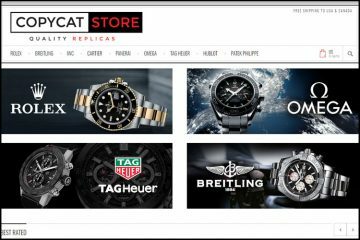 In this case, you surely need a good fake timepieces online store that is able to offer superior quality, decent prices and great services. Where is this ideal website? It’s on the Internet. You just need to patiently surf the World Wide Web until you find it. Below you have all the tips and tricks for doing such a thing. 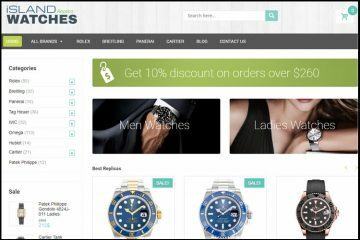 Timeswissshop.com claims to be a reliable online store with high quality timepieces. I have heard this line so many times that I simply refuse to believe such a thing until I check everything from product pictures and usability of the website to customer services and return policies. Every little detail makes the difference and it represents the factor that can turn something that seems like a good purchasing decision into a real nightmare. For instance, judging by its appearance I cannot believe that this merchant is so reputable. Its website is plain awful. It looks like it has been designed by a 4 year old. On top of the page there is a poor quality banner, on the right there is a list with the available brands, in the left there are the links for the informative pages, in the center there is a lot of random text and in the bottom there are many crowded sponsored products. The site isn’t friendly at all and after a couple of minutes of browsing you also realize that it isn’t easy to use either. 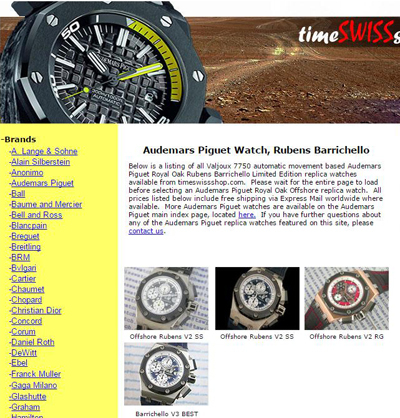 Timeswissshop.com sells numerous world famous watches brands. Rolex, Breitling, Omega, Corum and Vacheron Constantin are just a few of the names you will find in its endless list of available companies. The offer is truly impressive and for each brand there are hundreds of models included. Luckily, the replica watches are organized into sub-categories that have the same name as the original collection. This makes it much easier for us to find the desired model. The thing is that even the category pages where all the available models are listed are very poorly designed. Their layout is terrible and very tiresome to look at. Everything is crowded and disorganized. Also, there is no way of filtering the products or sort them by price or design criteria. You need to browse the entire collection until you find the model that interests you. The pictures of these fake watches prove that the company is not at all professional. By the looks of it, the images were taken from at least 3 different catalogs. What does this mean? That you really cannot trust that what you see in the photos is what will be delivered at your door steps. It is highly likely that this company does not even have its own stock and that it ships whatever it finds at a cheap Chinese flea market. I suggest that you ask them for some real photos of its actual replica watches before you place the order. The prices aren’t cheap, but on the contrary. The Japanese 21 jewels automatic movement that powers the replica watches available here, at Timeswissshop.com, cost twice as much as on other similar stores. These knockoffs are priced at $200-$300. That’s a lot for a Japanese replica. As usual, the Swiss fakes are more expensive. The 25 jewels ETA self-winding imitations from this site cost about $300-$450. Ordering from this website is a true adventure. For no apparent reason, this online store doesn’t offer the option of ordering directly on the site by clicking on a simple “Buy Now” button. To place an order you have to go through a very long and laborious process. You first need to locate the product you wish to purchase and then send an email to the company to request the payment details. After this, they will email you the link where you can pay by credit card- Visa or Mastercard-, Western Union or Bank Wire. And only after you get this email you can actually make the payment. It sounds like a lot of trouble for placing an online order, if you ask me. Theswissshop.com sends packages all around the world with a wide range of shipping carriers, such as Air-Mail, EMS, TNT, FEDEX or DHL. While having your package delivered with Air-Mail means that you get free delivery you also have to wait for about 20 business days for the order to arrive. That’s a lot of time for delivery. For EMS, TNT, FEDEX or DHL the estimated delivery time is about 5-7 business days, but depending on the destination country the fee is about $20-$50. This replica watches merchant offers a return policy and a free repairs warranty, but it does not provide a refund guarantee. Also, nowhere on the website does it state how many days you have to return the product starting with the day of the delivery. I think it is very strange that they’ve filled an entire page with random text about their return and repairs policies, but did not explain in how many days you can return the replica watch. 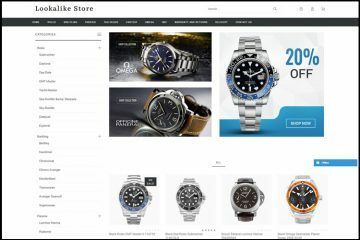 Timeswissshop.com cannot be contacted by phone or chat like any reputable online store. You can only clarify your worries by sending a message to their two Gmail accounts and wait until they answer. If you are positive that you want to order a product from this place then I advise you to do so only after your inquiries get answered. 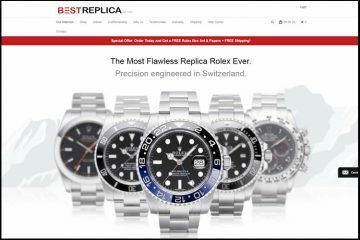 I wouldn’t order my replica watches from Timeswissshop.com. Even if I can overlook its unprofessional and difficult to use website, the lack of specific information about its return policy, I can’t ignore the fact that it does not have its own product photos and the possibility of ordering the fake watches directly from the website. I buy from Timeswissshop.com Henry Lee here 8 clocks in two years flawless professional !!! End very god man. I bought two excellent panerais for over $500 and have no complaints at all. I have purchased four watches from Henry Lee. The only one with a Japanese movement broke and Henry immediately replaced it with a new one. His communication is excellent and all watches were received herevin the US within 12 days of purchase. I am buying a replica Rolex Daytona after Jan 1, 2018 from Henry and won’t consider any other sources. This is a fraud website!!! Keep away from this fraud! They sent me a broken watch for over a month, and when I require a refund, they replied “ once shipped, we done the business” Don’t even have the sense of responsibility as a seller!! All their movements are poor and cheap Chinese movements! Don’t even worth the money! !